Hey, i need some tech support and wasn't sure how to get it, so i came here. . .
My microphone works for my spanish programs and other stuff, but it refuses to work with MAT. I desperately want to use it, but cannot. The mic is turned on, the chat option is enabled, and i have no idea what to do. . .
EDIT: holy crap, and i'm sorry for posting in the announcement section. . . stupid of me. . . .
You sure you pressed L or K because if so you should be able to broadcast? I am having this exact same problem. Please send a ticket to support so that they can see others are having the same issue. I have even seen people in game talking about this issue. I urge anyone experiencing this to send a ticket to support so they can look further into this issue. My headset and mic work fine in the windows config/testing. It works fine in vent. I have tried to re-install the game (so that I know none of the settings were at fault). I don't know what the problem is. The headset I'm using is the USB Microsoft Livechat headset. great! someone else is having the same troubles too! 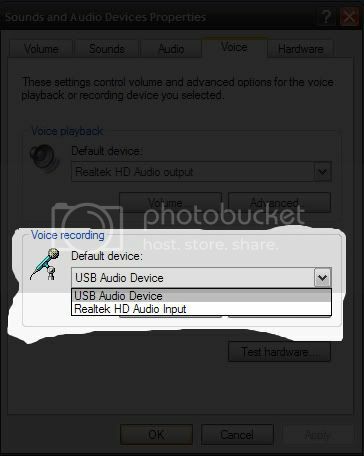 What version of windows do you have, and is your headset USB ? I have Windows 7 and no it's not usb. It plugs into my mic port next to the headset port. Last edited by AceFrost; November 1st, 2010 at 01:32 PM. ok, so it's possible that it's a windows 7 related issue. Do you know if you are running 64 bit or 32 bit? Update: I found a confirmed fix for this. It doesn't have anything to do with Windows 7 at all. LOL. 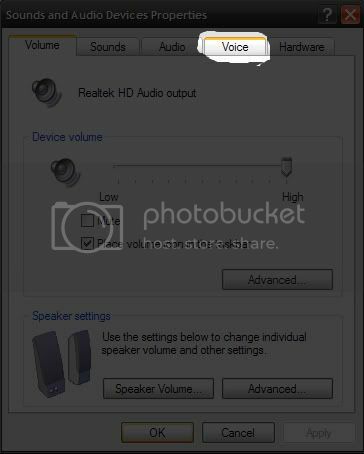 The problem is that the other programs you are using are configured specifically to your headset/microphone. But M.A.T. does not have any configurations directly, not when it comes to the ports. M.A.T. uses the DEFAULT microphone only. 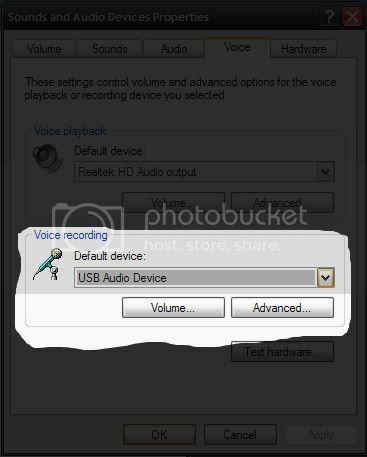 Follow these steps to change which device is your default microphone. 2) Click on Hardware and Sound. 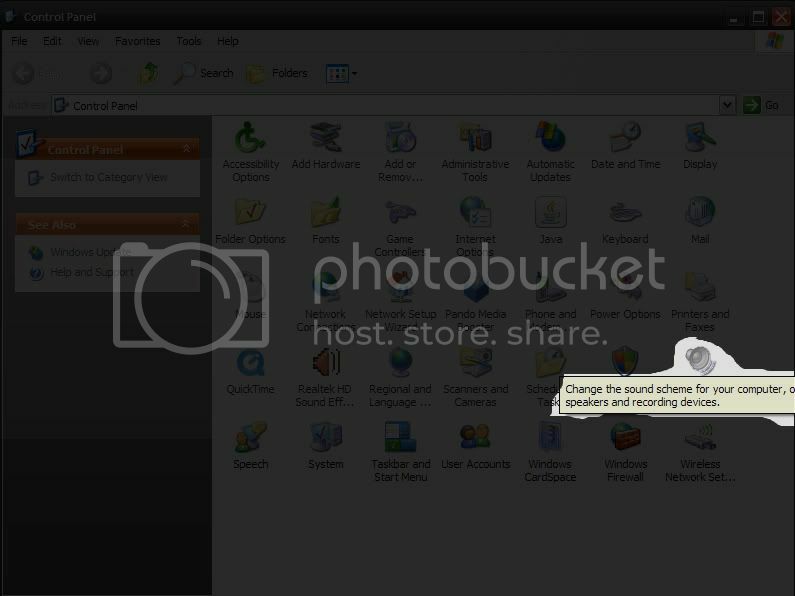 3) Click on Manage Audio Devices. 4) Click on the tab that says Recording. 6) Click the button Set Default. 8) Restart the M.A.T. game client. -- Credits to Grouch! Cheers. Last edited by Fervid; November 1st, 2010 at 06:46 PM. First thing, open up your Control Panel. *Find the icon. Should be Sounds and Audio Devices or something like that. *Locate the "Voice" tab, click it. *Find the "Voice Recording" box. *Press the drop-down menu, and locate your mic. Mine happens to by USB Audio Device. When you have found you mic, select it, and press "Okay". Go in-game and test it out. If it still doesn't work, add me on XFire (northsk) and I'll help sort it out.